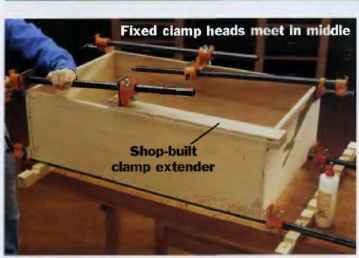 Because most clamp jaws are less than 2 in. 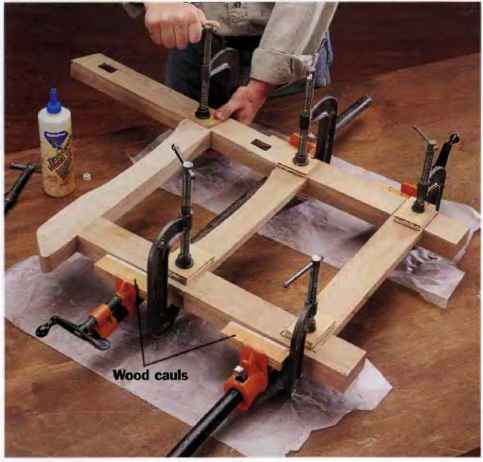 wide, tightening the clamps directs the clamping pressure to only a small section of the workpiece. 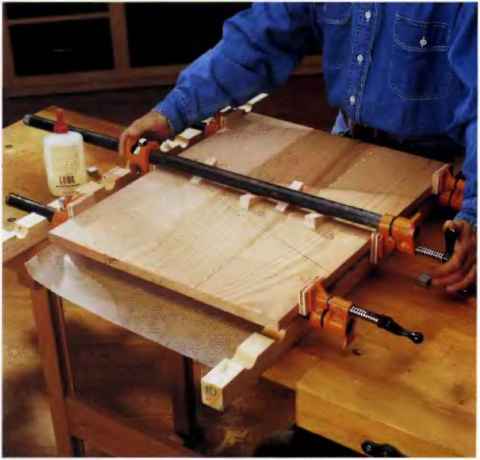 As a result, joints (and entire woodworking projects) can be pulled out of square, A good solution to this effect is to use wood cauls when gluing up your projects. Wood cauls are simply strips of wood that are slipped bet ween clamps and the workpiece to distribute the clamping pressure evenly. 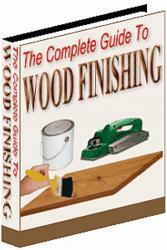 Woodworkers have been using them for centuries to help create strong, square joints. 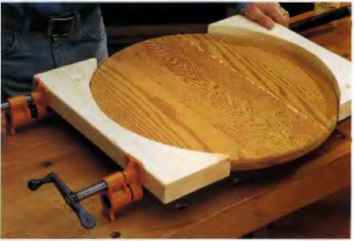 You can use any hardwood, or even strips of plywood, to make your own wood cauls. 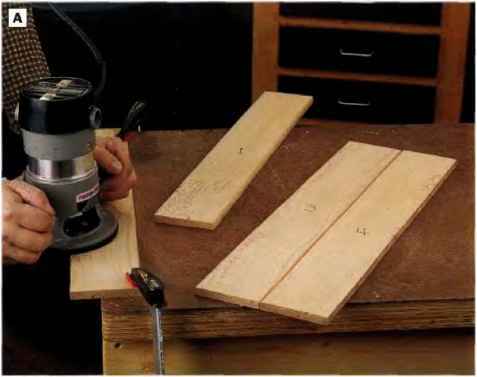 Be sure to have plenty on hand before beginning the glue-up.